Many hospitals and healthcare brands find that their business suffers due to a lack of effective marketing. 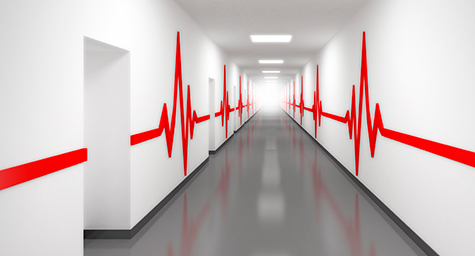 But the way to stay competitive is to always have your finger on the pulse of the latest healthcare marketing trends and put them into action. Luckily, SmithandJones.com compiled the most current marketing tactics to aid healthcare brands in developing a healthy marketing strategy. When it comes to content, shorter is better today. Between daily content overload and rapidly shrinking attention spans, consumers want their news now and their facts fast. To connect with these busy consumers, focus on featuring short and sharable content that voices its value from the start. Of course, some content can’t be condensed, so make it more scannable by using bullets, headlines, and videos. No matter how much content consumers receive, they always welcome what piques their interest and speaks to their personal needs. It’s this relevant, targeted content that cuts through all of the clutter and makes consumers click. Remember the need for relevance when creating your social media marketing strategies. Make your content more compelling by keeping it relevant and relatable, as well it making it helpful to a healthcare consumer’s needs. Start with content that is relatable, timely, and helpful. Give it a powerful headline and interesting angle to catch consumers’ attention. By developing content that resonates with consumers, your brand will develop a loyal and lasting following. Focus on creating marketing materials that show how the healthcare brand improves people’s lives. This will show how the brand helps the community, which will inspire people’s support. Develop uplifting content that makes people smile, laugh, cry tears of joy, or want to make a difference. People are more likely to share heartwarming content, which will build your brand’s positive image. Mobile is a must in 2015. Research shows that more than two billion people worldwide access the Web with a mobile device. And today, mobile is the only form of Internet access for a whopping one billion people. To reach this mobile market, you must make sure that your brand’s Web properties are all optimized for mobile viewing on every type of device. Patients don’t want to deal with difficult websites and hard-to-view content, so you will lose patients and prospects if your marketing isn’t formatted for optimal online viewing. With so many healthcare systems vying for patients’ attention, a brand must distinguish itself to stand out from its competitors. The way to display distinction is to express the qualities and values that make a brand unique. This helps patients understand the brand and develop a lasting loyalty. This approach has helped many healthcare providers develop patient preference and keep patients coming back. Learn how to treat your healthcare brand to new marketing strategies. Contact MDG Advertising today at 561-338-7797 or visit mdgadvertising.com.